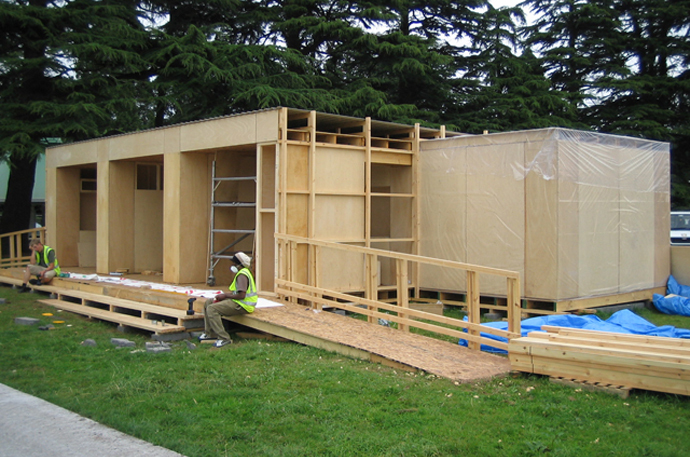 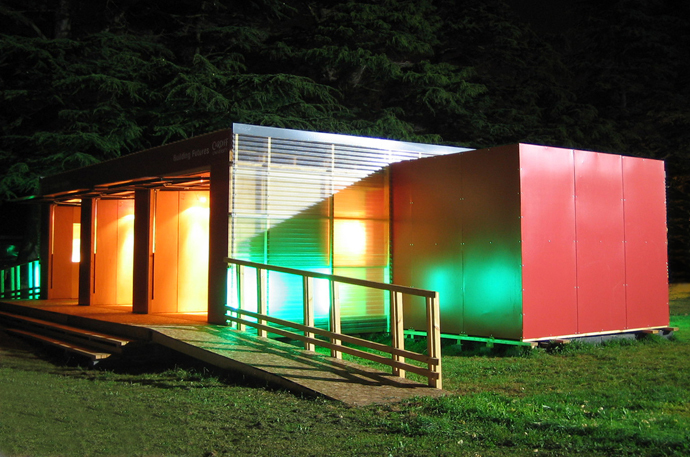 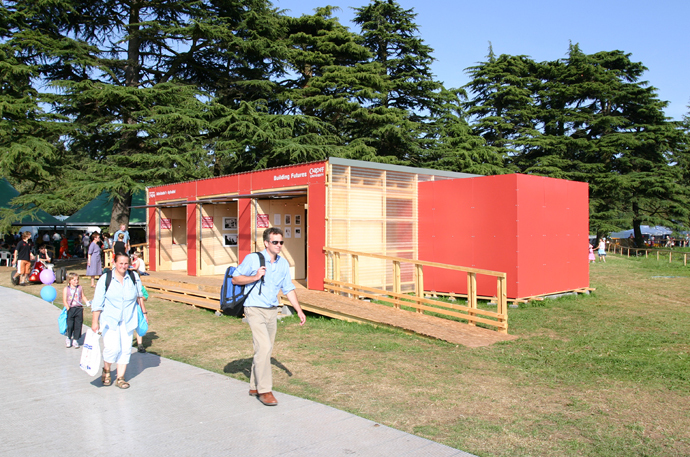 This pavilion for Cardiff University at the Eisteddfod Festival 2004, Tredegar House, Newport, was designed and built by Steve Coombs with graduates of the Welsh School of Architecture, to contain an exhibition on the research and teaching work of Cardiff University whilst also providing an opportunity to demonstrate sustainable building through a lightweight, modular, demountable, prefabricated construction system. 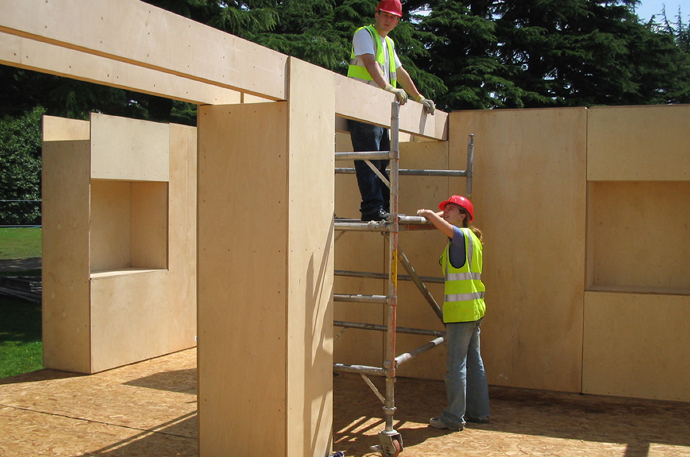 It was based on the standardised boards and timbers available at DIY stores and used in almost every domestic construction project for flooring, wall finishes, stud walls, ceilings, furniture, shelving and so on all over Britain. 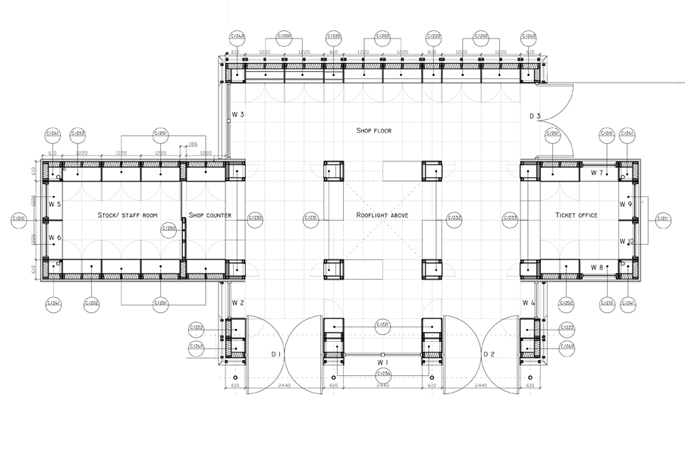 The square plan was based on the standard board size. 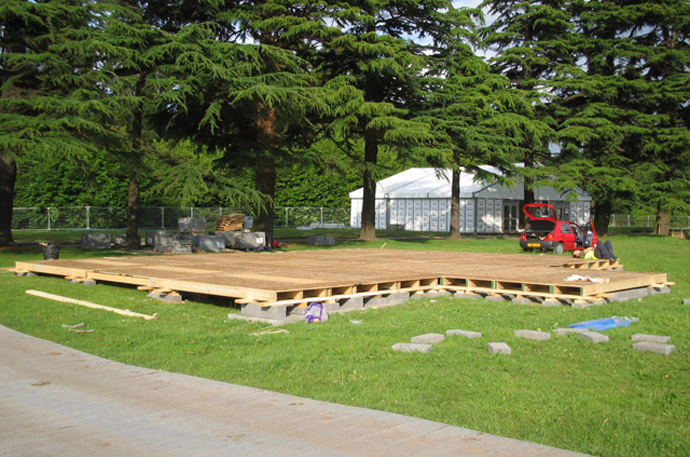 The floor is constructed from modular cassettes based on a sheet of orientated strand board (OSB) with floor joists screw fixed to the underside. 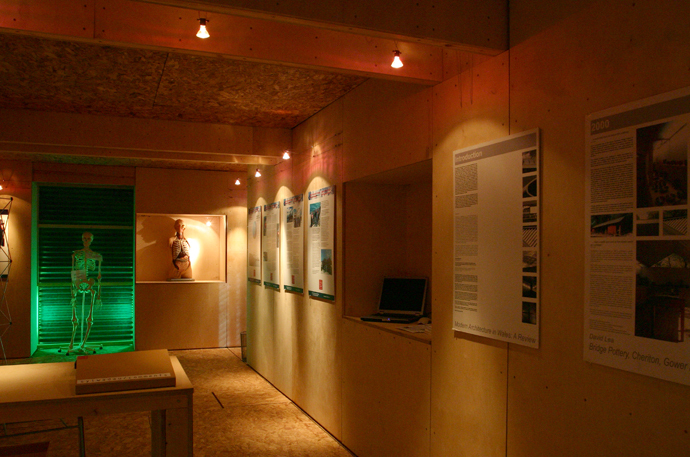 The cabinets used for walls, display space, shelving, storage, windows and structure, were framed using Welsh softwood and reinforced with birch faced plywood. 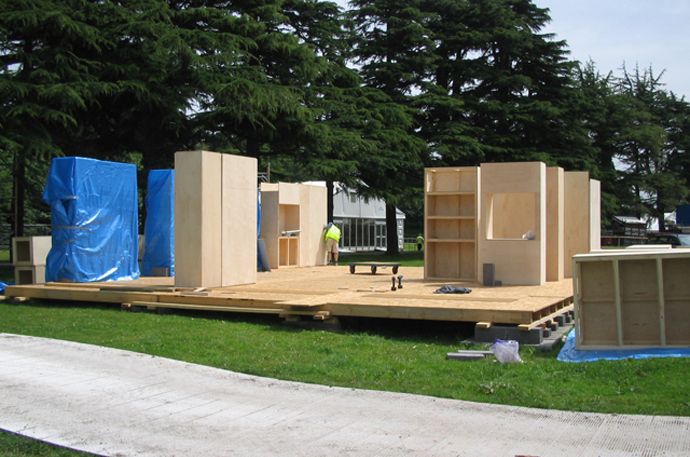 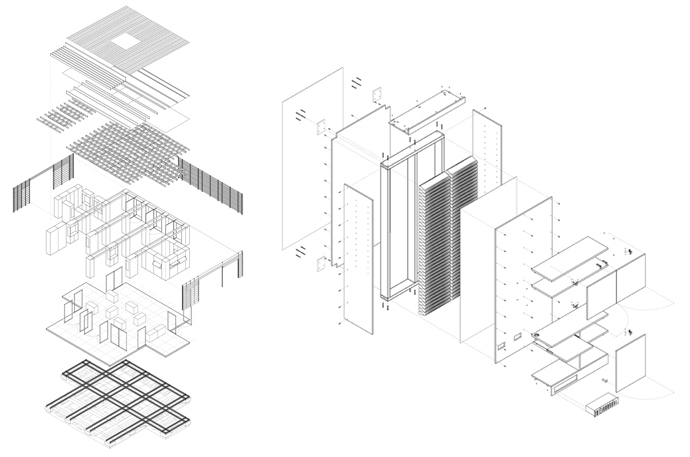 All aspects of the construction avoided site cutting with every effort taken to use materials as bought off-the-shelf. 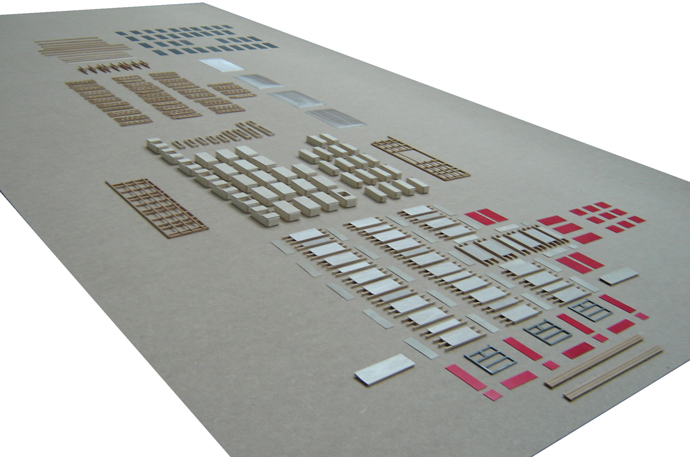 All fixings, were to enhance the ability to reuse, recycle and downcycle the components at a later date.